What better way to spice up a summer gathering than severe food trauma? 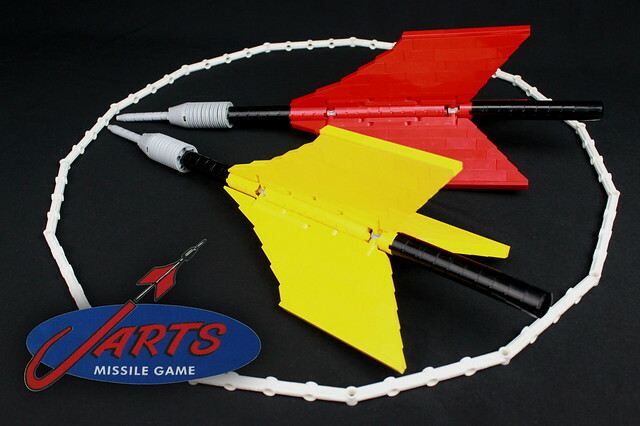 Yes, it's Jarts, or lawn darts! Oversized, weighted lawn missiles with sharpened steel tips, what could possibly go wrong? My family actually had these when I was a kid, they were fun and terrifying at the same time. Between these, my dad smoking in a closed car, no seatbelts and pop rocks and Coke, it's amazing we made it out of the 70's alive. Thanks for the nostalgia JT!